As the Kentucky Board of Medical Licensure’s (KBML) implementing regulations for House Bill 1 are now effective on an emergency basis for the next six months, physicians, nurse practitioners, and other licensed prescribers have specific statutory and regulatory requirements establishing when and how they may prescribe controlled substances. These rules must be followed or physicians and others may face serious consequences that include criminal misdemeanor offenses, loss of prescribing privileges, and disciplinary actions against professional licenses. All practitioners must pay careful attention to these rules because even minor violations may create problems. Because the KBML’s regulations are more comprehensive than the requirements of House Bill 1, a great deal of confusion exists concerning what physicians and practitioners are required to do and when. Recognizing that compliance with its emergency regulations may mean major changes in the way physicians practice medicine, the KBML has announced that it expects full compliance by October 1, which creates a welcome grace period. While the ambiguities and details will be worked out over the course of the next six months, physicians should take heed and incorporate these things into their practices. The definition of a pain management facility is so broad that it may cover private physician practices in unexpected ways. House Bill 1 defines a pain management facility to be a facility where the majority of the patients receiving treatment from the practitioners at the facility are provided treatment for pain that includes the use of controlled substances, and (i) the facility’s practice primary component is the treatment of pain; or (ii) the facility advertises in any medium for any type of pain management services. This means that even though a physician’s specialty practice may be something other than pain management, if more than 50% of the patients are treated for pain and prescribed controlled substances for pain, then the practice may constitute a pain treatment facility regardless of whether the practice is an urgent treatment center, an internal medicine practice, or other medical practice. Neither the statute nor the KBML’s regulation is clear about whether a subspecialty practice like orthopedic surgery would constitute a pain treatment facility in the event that a majority of its patients present seeking treatment for pain or painful conditions. If the practice advertises that it treats pain, then it qualifies as a pain treatment facility. Pain treatment facilities must register with the Cabinet for Health and Family Services and obtain a license if the ownership of the entity includes only non-physicians or with the KBML if the ownership of the entity consists of physicians. The KBML has noted on its website that the deadline for registration is September 1, 2012. Major exceptions to the classification as a pain treatment facility exist for hospitals, which include hospital clinics and the offices of their employed physicians; educational institutions; hospice programs; ASCs; and long term care facilities. Physicians should know that failure to register when required may constitute a misdemeanor and result in disciplinary action. House Bill 1 contains strong requirements that every physician who holds a DEA permit must register to use KASPER. In addition, the KBML requires physicians to register within three days of receipt of DEA permit. In fact, the KBML regulations state that to lawfully prescribe controlled substances, a physician must have the DEA permit and register with KASPER. House Bill 1 and the KBML establish different standards for prescribing controlled substances and requirements for KASPER inquiries. 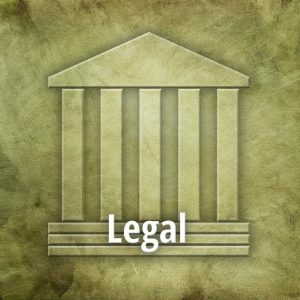 House Bill 1 applies to Schedule II controlled substances and Schedule III controlled substances containing hydrocodone. The KBML’s regulations, on the other hand, apply to all Schedule II and Schedule III controlled substances and selected Schedule IV and V controlled substances that have been determined to be highly addictive. These Schedule IV and V medications include Ambien, Anorexics, Ativan, Klonopin, Librium, Nubain, Oxazepam, Phentermine, Soma, Stadol, Stadol NS, Tramadol, Valium, Versed, and Xanax. While House Bill 1 only requires KASPER inquiries when Schedule II drugs and Schedule III drugs containing hydrocodone are prescribed, the KBML requires that a physician request and review a KASPER report before prescribing any of the controlled substances listed above. Exceptions to the requirement for KASPER inquiries exist for hospice or end of life patients, cancer patients, residents of a long term care facility, and for patients experiencing an emergency. Interestingly, the requirements for physicians to obtain KASPER reports for hospital patients differ between House Bill 1 and the KBML regulations. House Bill 1 states that an admitting physician should query KASPER and then make the report part of the patient’s medical record. An inpatient’s subsequent physicians satisfy the KASPER inquiry requirement when they review the report in the medical record prior to prescribing controlled substances and prior to discharging the patient with a prescription for no more than a 72-hour supply of controlled substances. Both House Bill 1 and the KBML regulations have mandatory requirements for KASPER inquiries. Because of the penalties associated with a failure to adhere to the requirements, physicians should establish a KASPER inquiry process as part of the routine practice of medicine, even if this means making inquiries that may be unnecessary. Regulators have promised that the KASPER inquiry system will be quick and convenient for users. Both House Bill 1 and the KBML regulations establish prescribing standards for controlled substances that must be followed and have the potential to subject a physician to serious disciplinary action for violations. In fact, the KBML has also revised its disciplinary regulations to create new standards to make it easier to issue emergency orders restricting physicians from prescribing or practicing. The standards for prescribing are complicated and vary based upon the timing of the prescribing. For initial prescribing of controlled substances, a physician must verify the patient’s ID, perform a history and focused physical that is documented; obtain and review a KASPER report; make a deliberate decision to prescribe controlled substances that is medically appropriate after weighing the risks and benefits; prescribe only the amount of medication necessary to treat a specific medical complaint for a definite, pre-determined time period; not prescribe long-acting or controlled release opioids for acute pain; and explain to the patient the need to discontinue the medication when the patient’s condition is resolved. If a physician intends to prescribe any controlled substance for a period more than three months, the physician shall perform and document a thorough history that includes patient and family history of abuse, dependence and psychosocial history; perform and document a comprehensive physical exam; obtain medical records from other physicians who have previously treated the patient’s complaint if necessary to justify the long-term prescribing of controlled substances; establish and document a working diagnosis; formulate a treatment plan with specific and measureable goals; screen the patient for abuse, dependence and psychiatric or psychological conditions that may create a diversion risk and make appropriate referrals; obtain a baseline urine drug screen and not prescribe controlled substances if the test indicates improper use; obtain the patient’s’ informed consent to the long term use of controlled substances; and try non-controlled substances treatments prior to prescribing. When a physician decides to prescribe controlled substances beyond the initial 3 month period, the KBML emergency regulations require: seeing the patient once a month until medication is titrated and not causing side effects and that sufficient monitoring is in place; evaluating the patient and reviewing the working diagnosis; reviewing functional goals and obtaining consent to speak with others; managing breakthrough pain by identifying the triggers and attempting non-controlled medications; performing or assuring that the patient’s primary care physician has performed an annual preventive health screening or exam; reviewing KASPER reports at least every three months and taking action immediately if the report indicates that the patient is not taking the medication or diverting medications and reporting it to law enforcement; stopping or tapering prescribing; performing random urine drug screens; performing random unannounced pill counts; and discontinuation of treatment and to refer an addiction specialist when there is no improvement, significant adverse effects of drug-seeking behavior, or diversion. Additional standards have been promulgated for physicians who prescribe within the emergency department. Physicians must document all relevant information in the patient’s medical record in sufficient detail to provide for (1) a meaningful diagnosis and treatment; (2) the safe and medically appropriate assumption of care by another physician at any given time; and (3) the KBML to determine whether the physician is conforming to professional standards for prescribing. House Bill 1 and the KBML’s emergency regulations change how physicians must operate on a daily basis and interact with their patients. The Governor’s Office has announced that public hearings on the KBML regulations will be held on September 26 and 27, 2012 in Frankfort. These meetings will provide an opportunity for comments on the KBML regulations. House Bill 1, on the other hand, has become law, is incorporated into Kentucky’s statutes, and is not subject to anything but legislative change. Regardless, concern about the ability of physicians to perform all the tasks are required by the emergency regulations, the KBML’s regulations are now effective even though a grace period for enforcement exists. Good luck! Regulators have promised that the KASPER inquiry system will be quick and convenient for users. 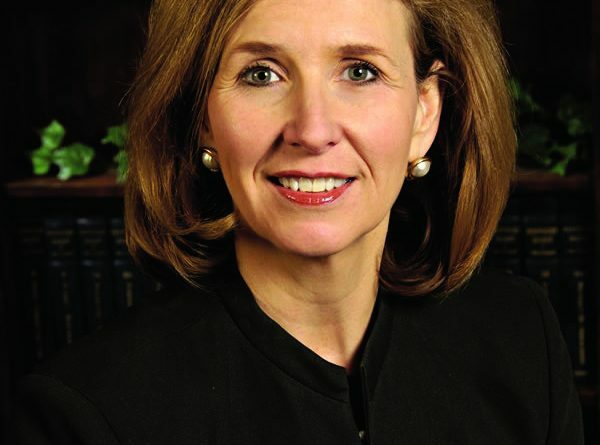 Lisa English Hinkle is a Partner of McBrayer, McGinnis, Leslie & Kirkland, PLLC. 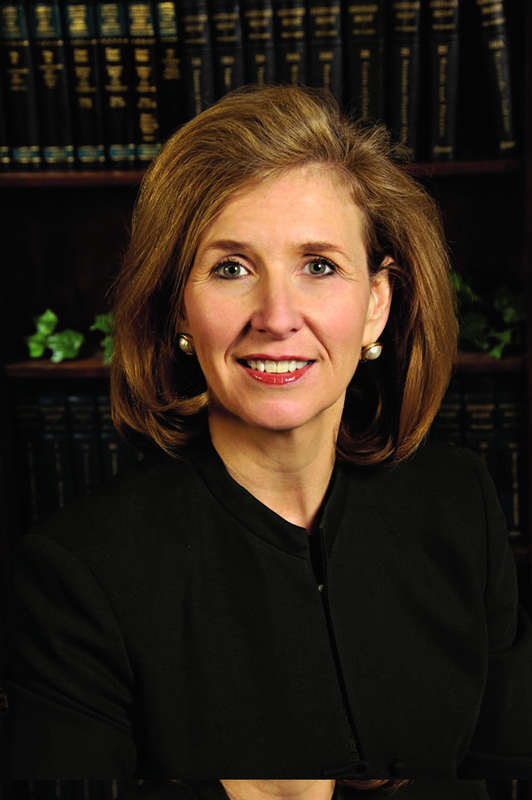 Ms. Hinkle concentrates her practice area in health care law and is located in the firm’s Lexington office. She can be reached at lhinkle@mmlk.com or at (859) 231-8780.